Two companies from Saudi Arabia and Bahrain have tasked Cartel Capital to nominate a group of companies in the food sector for acquisition. The UAE’s Ministry of Finance recently signed a MoU with DIEDC to boost co-ordination on matters related to the strategic plan for ‘Dubai the Capital of Islamic Economy 2017-2021’. 60 countries at Istanbul World Halal Summit unite, taking joint position against US dollar, instead using local currencies or gold in trade. Also demand investment in Halal sector. Chemical Company of Malaysia (CCM) today shared that the company will continue to play an active role in spurring the Bumiputera Agenda through its current activities and future plans. It had sold the franchise rights for its restaurants in Singapore and Malaysia to Saudi Arabia’s Lionhorn Pte Ltd as part of a plan to move away from direct ownership in Asia. 30 locations will open across Pakistan in partnership with Paramount. In March next year, Paramount will also launch three locations in London, England. Pure Fresh International Holdings Limited is located in the People’s Republic of China, and is the leading O2O (online to offline) fresh product chain platform worldwide. The 2017 Budget will not only empower Bumiputera entrepreneurs but also spur the development of the country’s halal industry. The Kingdom is joining forces with Japan’s Softbank to create a giant $100 billion fund which could become a dominant player in the industry. DIEDC are in discussions with the Central Bank of the UAE to obtain approval for a wholesale Islamic banking licence for the new entity. GIES with key messages – focus on innovation and technology and capitalise on the rapid Muslim population growth. Innovation 4 Impact is designed to support Islamic digital entrepreneurs from around the world obtain mentorship, advice, investment and scale their business ventures. 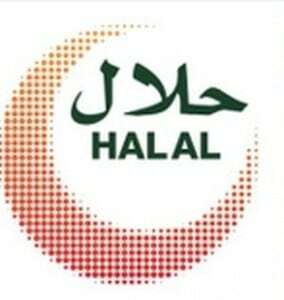 The State of the Islamic Economy report revisits the Halal Food Indicator (HFI) to evaluate a country’s halal food ecosystem.